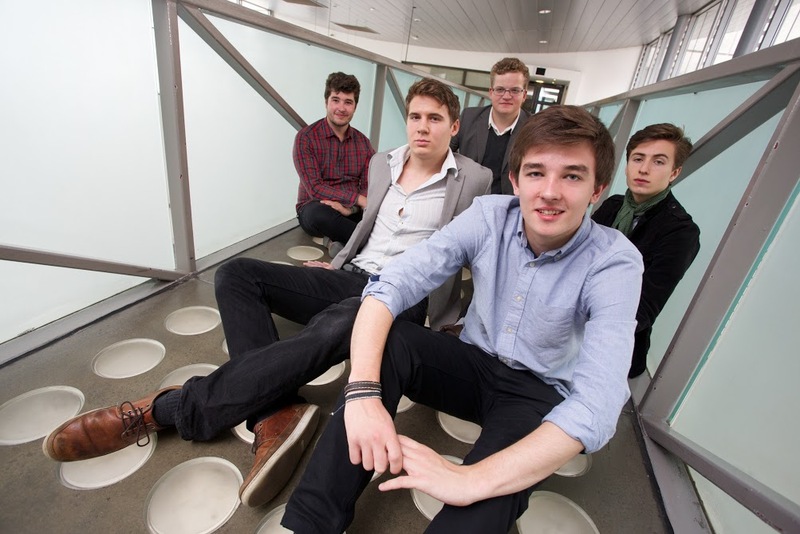 A group of Manchester students are celebrating after winning a prestigious jazz award. 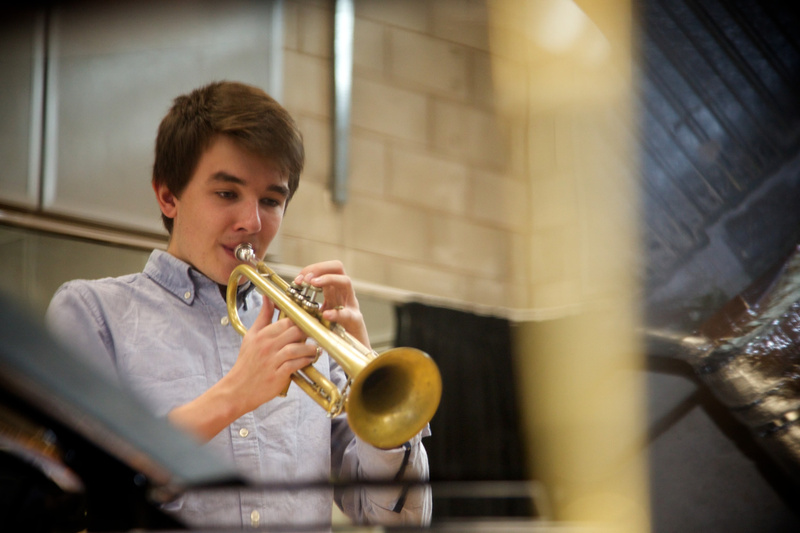 Aaron Wood, 21, is a final year student at the Royal College of Music and formed Artephis with four of his friends from the Manchester college. The group has won this year's Jazz North Introduces award and is now set to appear at high-profile jazz festivals across the North of England, starting with the Marsden Jazz Festival near Saddleworth this weekend. Over 130 hours of live music will take place at 26 venues in the Pennine village between Friday 9 and Sunday 11 October, including over 70 free events. Artephis was selected from a wide range of applications for the Jazz North Introduces award after impressing a panel with their talent and enthusiasm. The group will perform at Marsden's headline venue, the 19th century Mechanics Hall, at 12.30pm on Saturday. It was always a great feeling coming to Marsden as you felt like you could be part of a big UK jazz festival. "We were all really thrilled when we found out we'd won the Jazz North Introduces award. "We've been asked to perform at quite a few festivals over the next year but Marsden will definitely be the highlight for me. I'll have a lot of support from friends and family so it will feel special. It should be a great experience. "I remember playing in the Marquee on the Bridge while I was at Honley High School so it's really exciting to be coming back to play the main stage at the Mechanics Hall this year. "It was always a great feeling coming to Marsden as you felt like you could be part of a big UK jazz festival." Artephis describes its approach as 'forward looking and contemporary'. Since its formation 12 months ago, the quintet has been building a repertoire of original compositions and arrangements. The group's other members are James Girling, 20, who plays guitar; Ali Roocroft, 20, who plays piano; Alasdair Simpson, 21, who plays bass; and Matt Brown, 20, who plays drums. Children and teenagers from local schools and colleges will once again be performing at this year's Marsden Jazz Festival, alongside established and internationally-acclaimed artists. "My advice to anyone who wants to do well in music is just to carry on practising and also to find like-minded musicians to play with. "Everyone in the group has similar ideas of the kind of music we want to play so that's a really big factor. We've only been playing together for a year but it feels like we're a really good mix." Direct trains to Marsden from Manchester Victoria take just 32 minutes and run hourly. The Saturday parade will once again be the centrepiece of this year's Marsden Jazz Festival, with visitors being encouraged to make their own kazoo horns and join in. The headline acts at the festival, which is being supported by Arts Council England and Kirklees Council, include legendary saxophonist Jean Toussaint, New Orleans-based clarinettist Evan Christopher, and 'Jazz Instrumentalist of the Year' Arun Ghosh. Other venues include three outdoor stages, 13 pubs, clubs and bars, two cafes and one former cowshed. Entry to the Artephis gig at the Mechanics Hall is free but the venue is expected to reach its capacity, so festival goers are being advised to get there early.